This image is the result of a training exercise done in between projects at work. 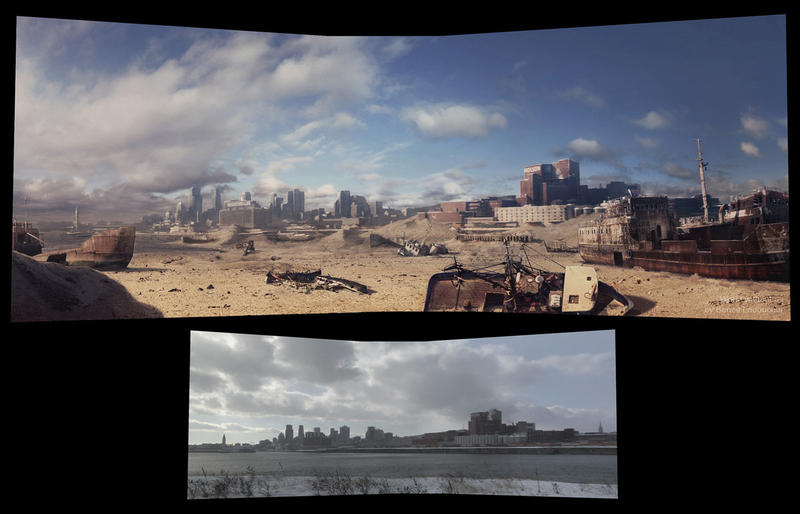 The goal of the exercise was to grab footage around Montreal and transform it so that it looked and felt like the humans where long gone from that location. I decided to push it even further and made the environnement a complete desert wasteland. The original moving HD raw plate was shot under Jacques-Cartier bridge from the Ile-Ste-Helene side of the river. It was then tracked in Boujou and unwraped in XSI. The painting was done in photoshop over about 2 weeks.